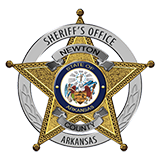 Newton County Sheriff Keith Slape said that four were arrested Wednesday April 28,2010 at a residence in Rock Creek, east of Jasper. Deputy Charles Moore and Deputy Craig Loggins responded to an anonymous tip that a meth lab was in that area. Slape said that Brandon Carney, 29, of Hasty, Brently Royce, 24, of Harrison, Adam Riddle, 24 ,of Harrison and Vatisha Urrutia ,18 of Jasper were charged with manufacturing methamphetmine and possession of drug paraphenilia. Carney and Royce is also charged with similtaenous possession of firearm. Royce was out on bond for delivery of methamphetimines. Carney and Royce's bond was set at $100,000. Riddle's bond was set at $10,000. Urrutia's at $5,000. The 14th Judical Drug task force assisted in the investigation.